Ford Motor Company in short is known as Ford. The American based company manufactures automotives. The multinational company was founded on June 16, 1903 and has its headquarters situated in Dearborn, Michigan, United States. The company sells automobiles and commercial vehicles under the brand name of Ford, while luxury cars fall under Lincoln's brand. The company product includes Cars, Crossovers, SUV, Trucks, Hybrids and EVs, Commercial Trucks, and Future Vehicles. The company also provides service, accessories for its vehicles. The company was rated the second largest auto maker in USA, and the fifth in the world based on sales in 2010. There are currently 0 consumer reviews about Ford available. Share your review. 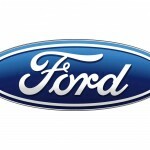 Please take a note that you are about to post a public review about Ford corporate office on CorporateOffice.com. This review will be public, so please do not post any of your personal information on this website. If you would like to contact the corporate offices of Ford, please use their contact information such as their phone number, website, and address listed above to contact them. However, sometimes staff from Ford headquarters do read the reviews on this website.